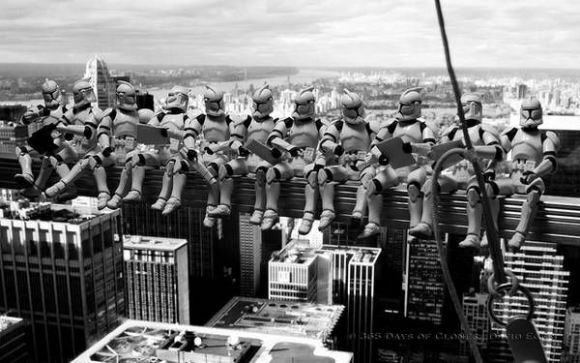 It has been hard to escape the media onslaught which is the Star Wars release. I am a fan of the Star Wars series but not a FAN like my brother. 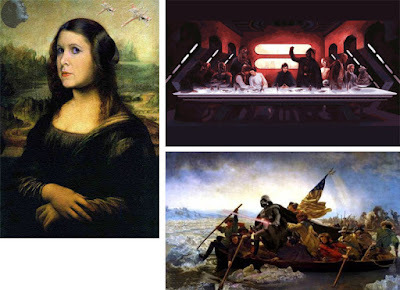 I have seen what I consider "the original three" but not the more recent ones. I collected a few Star War action figures in my childhood and remember having a set of Star Wars trading cards. My family has not seen The Force Awakens but will over Christmas break while visiting family. 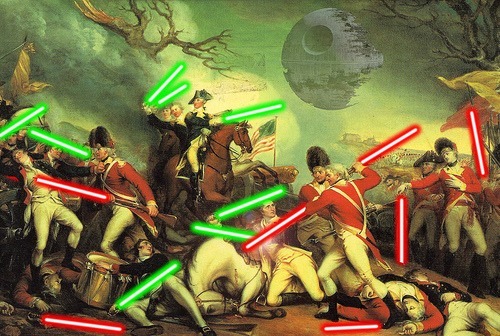 It has been interesting to see historical memes and creations mashing up history and Star Wars. Facebook and Twitter have been full of these this week. My favorite has to be the Washington Post article on how Ken Burn would tell the Galactic Civil War story in Civil War documentary format. 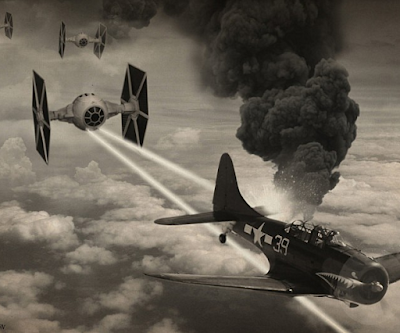 I have also enjoyed the many historical images that have Star Wars adaptations. 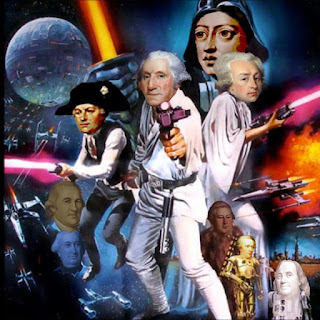 There are a couple of my favorite George Washington Star Wars images.